Houston-based restaurant operator Treadsack unveiled its fourth original concept in October, opening the British-American pub Hunky Dory in the Houston Heights neighborhood. The tavern serves modern fare and boasts an extensive wine list, myriad whiskies and creative cocktails in a large space that incorporates both an upscale dining room and a casual pub. Executive chef Richard Knight puts contemporary American influences on traditional British cuisine, with dishes like shepherd’s pie, chicken and eggs, and whole hog cavatelli (entrées are $17 to $80 in the dining room and $14 to $18 in the pub). Hunky Dory’s 30-page wine list focuses on Old World labels ($9 to $85 a glass; $40 to $820 a 750-ml. bottle), while its bar highlights whiskies and British and European brews ($6 to $8 a draft pour). The venue also has a roster of Scotch- and gin-based cocktails ($10 to $30), from the Pimm’s Cup, Bramble and High Ball to The Sheep Dip, made with Sheep Dip malt whisky, Drambuie liqueur, Dead Rabbit Orinoco bitters, lemon juice, egg white and fennel pollen. Hunky Dory’s pub has floor-to-ceiling windows and an outdoor patio space, while the dining room evokes an English country house with wooden floors, a molded ceiling and an open wood-burning grill. Making its debut outside of New York City, Major Food Group unveiled a second unit of the upscale Italian-American restaurant Carbone in October at Las Vegas’ Aria Resort & Casino. 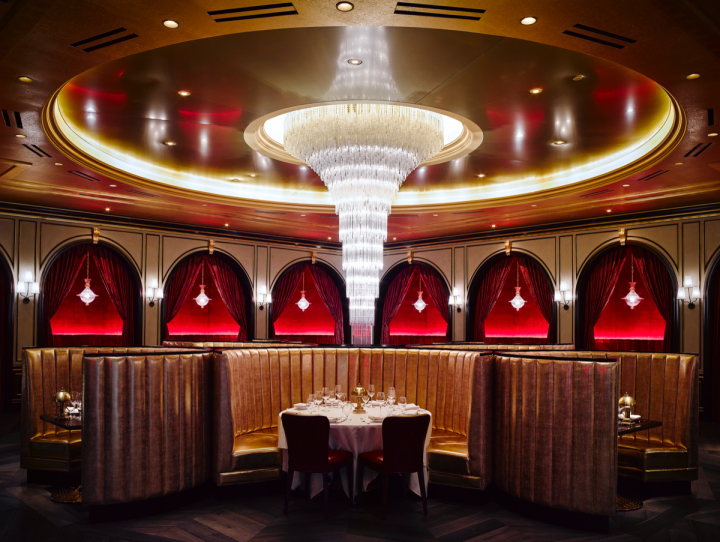 The eatery offers a reinvigorated expression of classic fare in a theatrical atmosphere. The venue features a blue room with vaulted ceilings and Manhattan subway station tiles, as well as a red room inspired by the Milan Opera that has a floor-to-ceiling crystal chandelier. Carbone’s menu highlights elevated red sauce cuisine, from spicy rigatoni alla vodka to Veal Parmesan to its signature meatballs (entrées are $23 to $120). The food is joined by more than 500 wine labels from Italy, America and France ($10 to $38 a glass; $65 to $11,000 a 750-ml. bottle) and a selection of classic cocktails ($15), such as a Mai Tai and a Stinger. 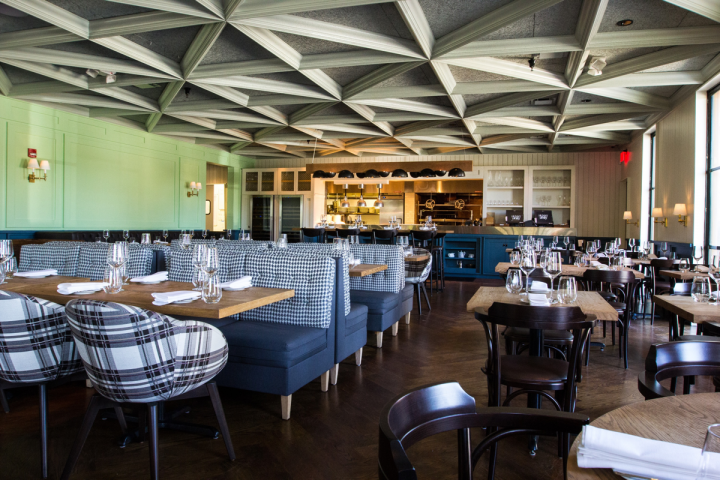 Nashville-based Strategic Hospitality unveiled its newest venture, the modern French restaurant Le Sel, in October. The venue offers a lighter take on French fare, forgoing heavy creams and butter for seafood and vegetable-forward dishes. Featuring an upstairs dining room and downstairs cocktail bar, Le Sel emphasizes French wine and liqueurs. The rustic Italian trattoria Caputo opened in San Francisco in October, boasting a menu with grilled octopus, braised lamb, house-made pastas and wood-fired pizzas. The SoMa-area eatery features a California-focused wine list, an array of microbrews and signature cocktails served from a bar that overlooks the bay. Veteran chef Christopher Miller unveiled his first solo project in October with the opening of Four Cuts Steakhouse in New York City. The restaurant’s traditional steak house cuisine is joined by a lengthy California wine list and updated takes on classic cocktails. The team behind Boston’s Eastern Standard restaurant debuted the neighborhood rotisserie Branch Line in October in Watertown, Massachusetts. The restaurant serves Mediterranean-influenced home-style food, along with rare beers and coastal European wines.